Green Tea Extract, which is obtained from the leaves of Camellia sinensis, offers several benefits including the potential to fight against carcinoma (cancer). It is also known to have a strong antioxidant effect that is believed to protect the human body from damaging effects of free radicals. In the bodybuilding world, green tea extract is considered to be an excellent option for losing weight and getting the initial boost without risking the body against any type of side-effects. It helps in reducing cholesterol levels and plays an important role in building a lean and muscular body. The chemical formula of Green Tea Extract is C22H18O11 and its molecular weight is 458.371720 [g/mol]. The active ingredients in green tea extract are polyphenols in the form of flavinods such as epigallocatechin gallate (EGCG) and catechins. These flavinods interfere with and minimize the spread of specific types of carcinoma cells. Epigallocatechin gallate act as a guarding shield against respiratory and digestive infections. It suppresses angiotens in I-converting enzyme and therefore helps in treating high blood pressure in individuals. It also prevents food poisoning by inhibiting pathogenic bacteria and helps in blocking carcinoma-promoting activities of UV (ultra-violet) light, metastasis, and carcinogens. Green Tea Extract is also known to improve oxidation of fat and suppressing appetite. Epigallocatechin gallate (EGCG) can be taken in the quantities of 250-500 mg on a daily basis or as per changing requirements. It is believed that usage ranging from 250 mg to 2.5 g/day can help in deriving the optimum benefits of green tea extract. 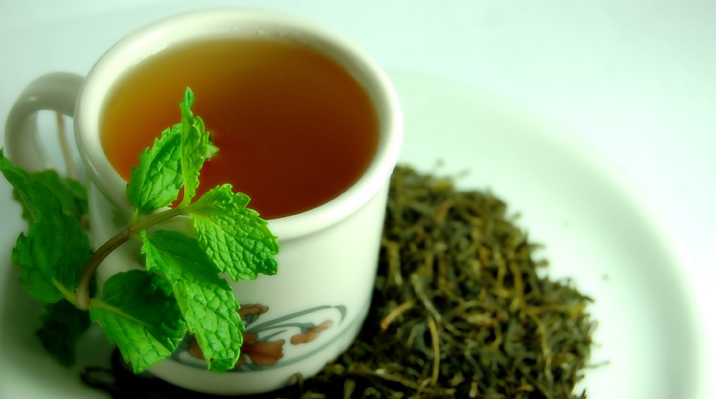 Green Tea Extract is non-toxic for both long-term and acute dosages. It does not have harmful effects on pregnancy, fertility, child birth and nursing. However, green tea extract has caffeine and those who have an allergy for caffeine or take MAOI inhibitors (anti-depressants) should avoid it. Green Tea Extract must be kept in a tightly closed container made of metal, ceramic or wood. It must be kept in a cool and dark place, away from light and heat.